This chapter provides a conceptual overview of the healthy life expectancy framework used to examine the linkages between mortality, morbidity, and disability. Because changes in these individual-level processes sometimes combine in complex ways to generate changes in population health, the healthy life expectancy framework provides a means for summarizing these complexities that allows the development of policies targeted at improving the quality of life rather than simply improvements in the overall length of life. 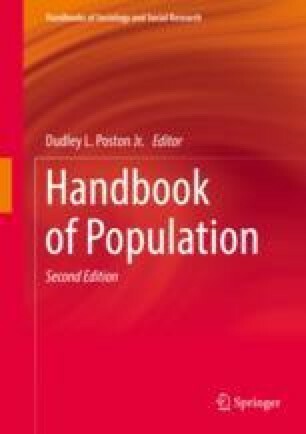 A general description of the measures and methods used in modeling the linkages between mortality, morbidity, and disability, and thus population health, is offered. Major gaps in current knowledge are discussed, with current and potential complementarities across key lines of research identified. Demographic models of healthy life expectancy are powerful tools in understanding population health and such models might inform individual-level analyses of health disparities within a population.